Drivers in Englewood looking for top-of-the-line luxury SUVs prefer the features and options available on the versatile new Land Rover Discovery. 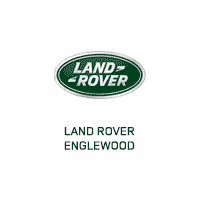 Land Rover Englewood offers a wide selection of Land Rover Discovery models and trim levels, so you can find the vehicle that’s right for your needs and lifestyle in Weehawken. To experience the Discovery for yourself, schedule a test drive at Land Rover Englewood and learn about all financing options for Land Rover vehicles. When you’re ready to experience the new Land Rover Discovery, contact our dealership or simply drop by our showroom, and our friendly sales team will help you out. How Much Can a Land Rover Discovery Tow?